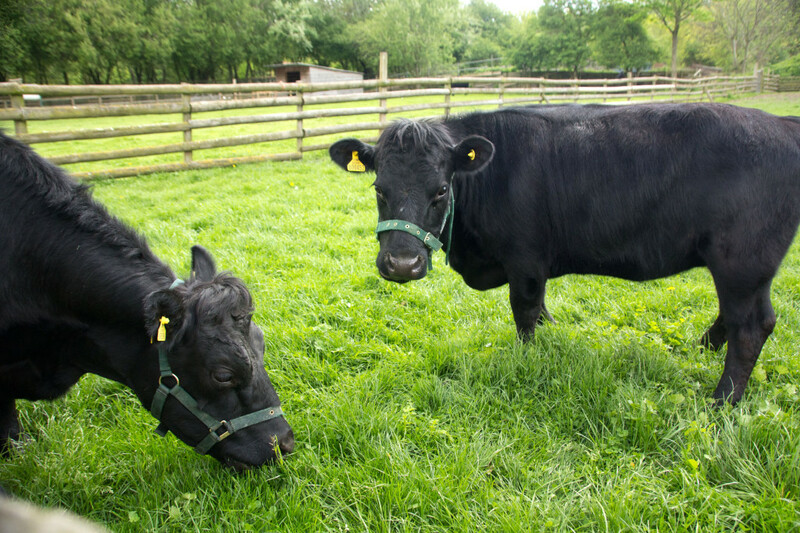 We are very excited to be welcoming two lovely black dexter cattle to our herd here at Mudchute. The beautiful Moomin Tamarisk and her daughter Twiglet join us from Kent. 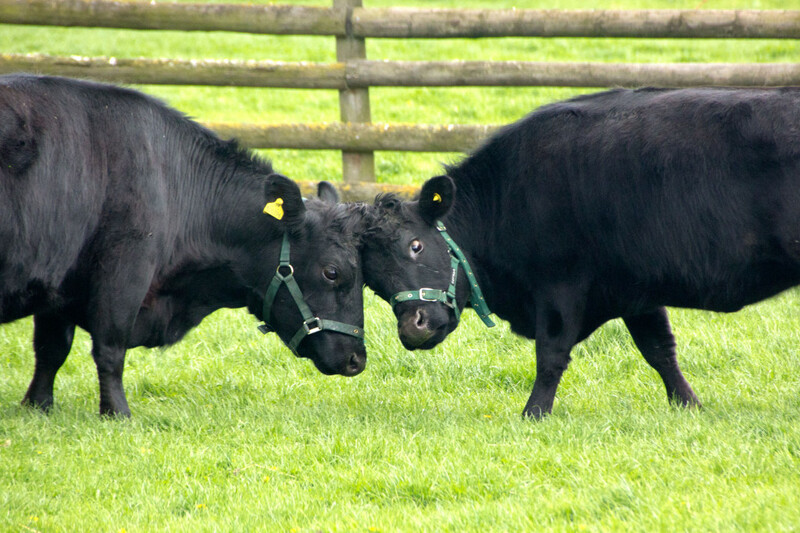 Mother and daughter are black, short-legged dexters. Both cows have been shown and mum Tamarisk is a champion! 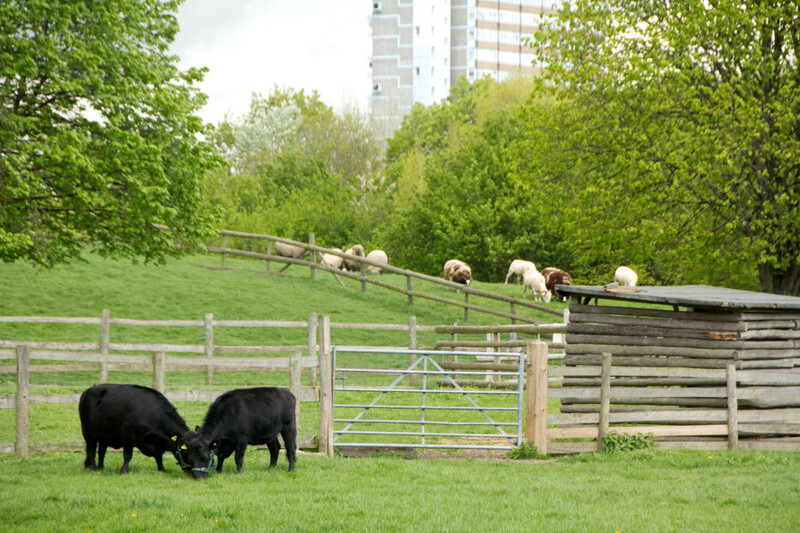 They seem to like it here at Mudchute already, making friends over the fence, grazing and enjoying each other’s company. 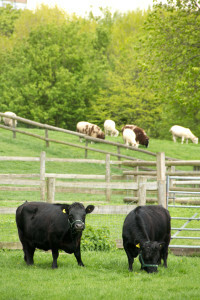 Before joining us, the pair were part of a larger herd, whose work included conservation grazing. Moomin dexters have even taken part in conservation grazing projects on the White Cliffs of Dover. 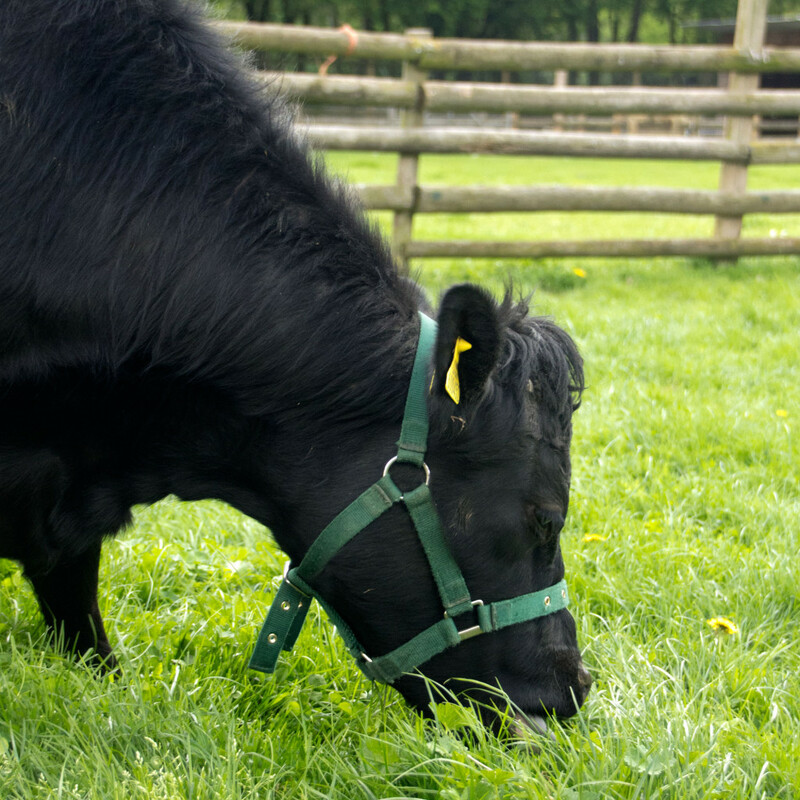 A dexter’s small hooves and light weight make them ideal for keeping fast-growing and vigorous grasses down without compacting downland soil the way larger cattle might. 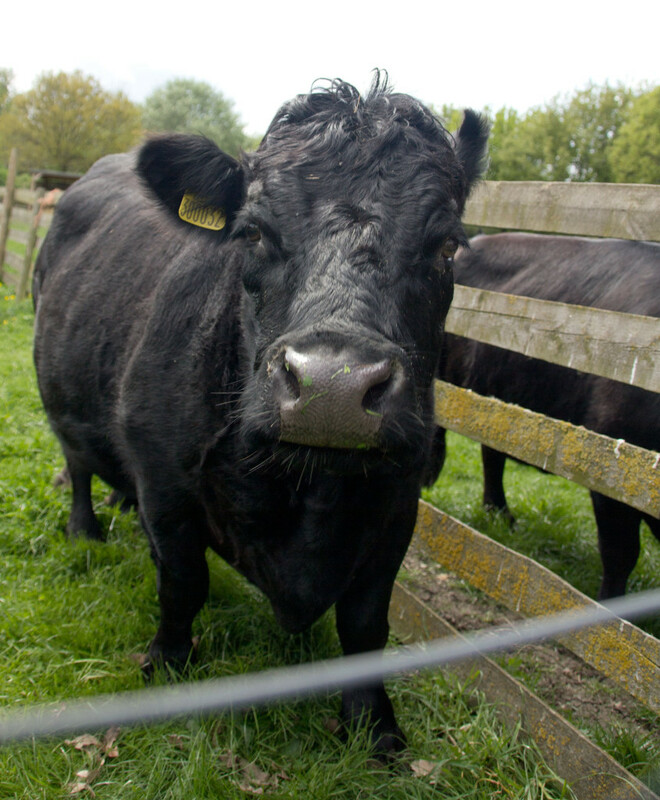 Dexters are the smallest native breed of cattle in the British Isles and you can find out more about them from The Dexter Cattle Society. 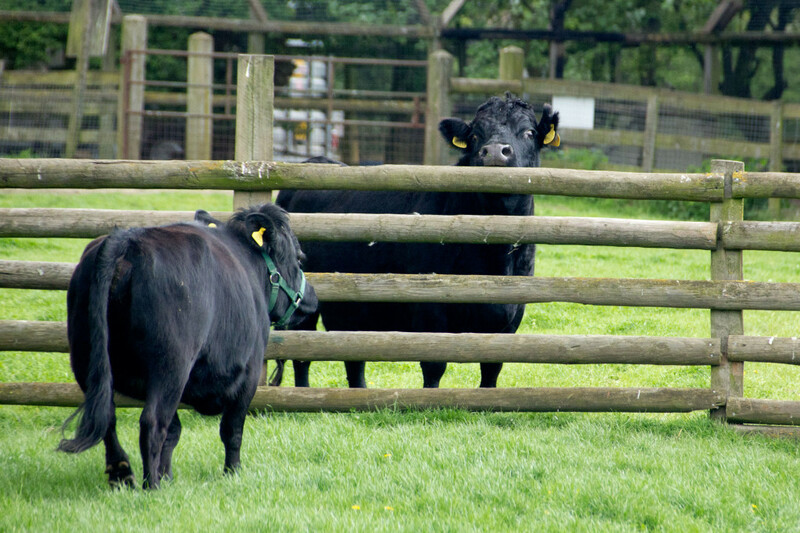 We are extremely grateful to Mrs. D. Smith for generously donating one of the pair to us here at Mudchute and to the Rare Breeds Survival Trust for the purchase of the other. The exciting news doesn’t stop there either! Both mother and daughter are also pregnant, so we hope to hear the pitter patter of even tinier hooves in the autumn. Mum and daughter relaxing after the journey.